Last week – on Tuesday, November 8, 2016 (actually around 3am Eastern on the morning of Wednesday, November 9th) – America elected a new President, Donald Trump. Every presidential election results in many people who are crushed by the defeat, pessimistic about the future and quite often dug in with a resolve to combat the winner. On the other hand are the victors who are energized, enthused and optimistic at the prospect of all being right with the world now that their candidate has risen to power. It’s how things go here in the United States. People put their trust in their candidate, most often seeing things in a very binary way. Win or lose. Succeed or fail. Optimism or pessimism. During election night the futures markets crashed because worldwide players had no idea what a Trump presidency might be like. Uncertainty scares investors. As things wore on and speeches were delivered – by Trump, then Clinton and eventually President Obama – Wall Street and worldwide markets rebounded. Bursts of emotions can drive the smartest among us. Every market is largely driven by how investors feel. Pessimism fuels panic. Optimism fuels bold moves. Serendipity sometimes happens when you’re podcasting. Like now. I didn’t plan or map out today’s topic to coincide with this election, much less the lessons we’re likely going to learn over the coming months and years. Nor did I really have in mind the lessons we can learn from candidate Trump, now President Elect Trump. But sometimes these things find you and work themselves out. Today it’s about OPTIMISM. Go back and listen to episode 4036 if you missed part 1 of this 2 part series. 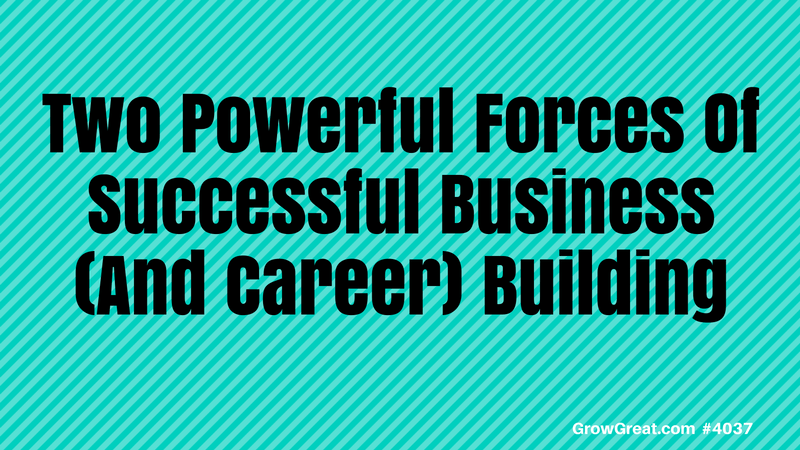 We’re talking about the two powerful forces of successful business and career building. I’m an apolitical person. That means I don’t care about politics. I’m interested enough to keep up. And I did stay up until after 3am Central (I’m in Dallas) on election night to watch things finally reach a conclusion. But I don’t do political commentary and I don’t surround myself with people who do. You didn’t come here for that – and for good reason. There are some great lessons we can learn about OPTIMISM though from this year’s election. OPTIMISM talk requires a bit of adversity talk. After all, if not for adversity optimism would be a no-brainer. None of us would struggle with confidence or optimism if we never had a challenge. Love him or hate him, Donald Trump is not only confident, but he’s optimistic. During the past 18 months plus of working to become elected as the 45th President of the United States, Donald Trump was challenged with rolling waves – BIG WAVES – of opposition, missteps and issues that would seem to sink any candidacy. But not his. He went toe to toe with his adversaries. He remained his candid, blunt, aggressive self-determined to do it the way he wanted. Challenges that would have most certainly made others cower didn’t seem to faze Trump. He just kept going. Political insiders from both parties (both Democrats and Republicans) tipped their hat to his work ethic and remarked about how many appearances he would make, no matter what. We could talk about resilience, tenacity and grit…but they all stem from the man’s supreme confidence driven by his OPTIMISM that he would win. Much of the nation is shocked. Many accused Trump of being delusional, thinking there was no way the man could possibly be elected. Don’t underestimate a determined person with a full take of confidence and optimism (and I’m using those terms somewhat synonymously today because I’m not sure how you can have one without the other). Think about your current adversity. Think about the self-doubt and fear that creeps into your head. Few things are more powerful contributors to our failure than our own inner critic. Just this month an article was posted over at Psychology Today about how we can often feel undeserving or like imposters. Success doesn’t always help us cure such challenges. I suspect we’ve all got head trash that needs to be taken to the curb. Some described Trump as a sociopath (defined as an antisocial personality disorder where people tend to lie, break laws, act impulsively, and lack regard for their own safety or the safety of others). I’m not qualified to say, but I am observant and qualified to say that I witnessed this much about Trump. The man won’t quit. He just keeps forging ahead in spite of what others think, say or do. He rolls the way he’s going to roll without regard for what his critics may think he should do. In the face of people making fun of him, mocking him or confronting him…he decides his own course of combat and keeps swinging. No, it’s not always pretty, even though it’s often entertaining. Yes, sometimes he’s repugnant, but he’s not got a lease on that trait. At least not among political figures. He’s like the Energizer Bunny. He just refuses to get down, slow down or stop. During the campaigning season I often wondered why a guy would endure such things. I still wonder. But he did. Good for him. He clearly resonated with plenty of American citizens, giving him a comfortable victory in the election that NOBODY thought was possible except him. And that, ladies and gentlemen, no matter where you stand politically – is undeniable. Mr. Trump may have often been the only guy who thought he could win. He just pounded it and pounded it and pounded it delivering the same message over and over. Radio talk show hosts and media people of every ilk made fun of how seemingly delusional he was and how over the top his confidence appeared to be. It may be the best example I’ve seen of supreme OPTIMISM. What can we learn? How can we harness this powerful force for ourselves and for our businesses? In 2000 a book hit the market: Great Leaders See the Future First: Taking Your Organization to the Top – In Five Revolutionary Steps by Carolyn Corbin. The title and the book are an optimistic view of leadership with an emphasis on those being led and the responsibility of the leader to properly serve. A major component of effective leadership is belief. Belief stems from vision and optimism. That’s why Ms. Corbin correctly asserts that great leaders “see” the future first. They see it. They believe it. They’re confident about it. And optimistic. Even if you hate Donald Trump you must acknowledge that he’s proven able to do all of those things in his own quest for the presidency. Can you apply that to your career and your business? Of course. Maybe a guy like Trump has nature wiring enabling him to block out the naysayers. Maybe his lifelong career in the toughest market on the planet – New York City – taught him a few things about what it takes to make it. Maybe he’s delusional in a way that serves him, and his success. Maybe it’s all that and more. I don’t know. I just know I’m determined for us to learn some things about optimism that can serve us. Optimism can be a choice. Maybe not an easy choice, but a choice none the less. Pessimism is much easier. A path of least resistance. I could sit down with you and throw out some hypothetical problem, followed by asking you to tell me something good that might come of it. You’ll likely struggle. It’ll tax your brain and imagination. Likely. I can repeat it with a completely different hypothetical problem, followed by asking you tell me something bad that might come of it. You’ll fire off something almost immediately. And you’ll likely be able to follow that up with more bad outcomes. You may not be able to stop providing me with poor outcomes because they’ll flood your mind. Putting yourself in a good position for success is important. But what does that mean? What’s required? I don’t know because I don’t know your specific situation. Generally speaking, I know that you must have some talent for a thing. Capacity is important. When I was a teenager I envied the guys who were fast runners. I was always quick – pretty good for the first few yards – but those guys who could sprint had it going on. I couldn’t imagine being able to do what they could do – because I never could. It just wasn’t a capacity I had. I could have spent many hours training, being coached and doing whatever possible to improve and I still wouldn’t be able to be a fast sprinter. Sure, I could have likely shaved off some time, but still…I’d be slow. You have to soar with your strengths and bet on your capacities. You can’t embrace the power of optimism by betting on capacities that don’t exist. We sometimes want to be whatever we think is needed, or whatever others think is needed. Some of the hardest decisions facing CEO’s, owners or founders is the morphing to become what the company may need right now. Not what may have been needed earlier. Time and place matter. The founding visionary was the first to believe. She did indeed see the future first and got the business off the ground because of it. The first $10M in annual revenue was largely fueled by her determination and optimism because it was her idea. But then an invisible wall hit her in the face, like mile 22 to a marathon runner. She stumbled. Grasping for air. Not knowing what to do except to keep running. Perhaps after a bit of running under those conditions she realizes that a more professional management approach is now what’s needed – a skill she doesn’t have or want. Something that just isn’t who she is. She can force it – like somebody with my speed trying to become a sprinter (a colossal waste of time). Or she can realize that it’s time to bring in somebody else, often a tough decision because ego and pride can get in the way. But if her optimism continues to run high, she’ll find a way for the overall good of the company and her own career to show world-class leadership by turning the reins over somebody else. It all begins and end with knowing ourselves. She knows herself. She accepts who and what she is, and what she’s best at. Without, how can she be confident? How can she possibly believe success is possible, perhaps even probable? Or assured? Have you ever had an idea that you really believed in, but others didn’t? What did you do? Was your optimism crushed or did you press on, ignoring the critics? That’s exactly how Trump handled it. He largely ignored it maintaining his confidence and optimism. Let’s use him to help ourselves. If he can endure all the public scrutiny and shaming to become elected President of our country, don’t you think you can endure whatever criticism you face? OF COURSE YOU CAN. But this isn’t about the U.S. President…it’s about YOU. And me. It’s about us. And how we can leverage these two powerful sources of overcoming loneliness and increasing confidence through optimism. Grow Great is about business and career building, but many ideas transcend those endeavors and crossover into our personal lives. I’ve yet to find a way to separate them really. A bad day at home translates into a bad day at the office. Vice versa, too. For good reason. People have feelings, emotions and thoughts. Fears, anxieties, obstacles. Joy, humor, fun. Despair, pain, sorrow. And that can all happen in a single day. No wonder it can be tough to get and sustain momentum. Optimism deals with our perceived outcomes. How can we alter our perceptions about possible outcomes? The mind that can envision something, dream something and craft something surely can figure out a way to see success instead of failure. If we can imagine bad things, we can imagine good things. But it’s our habit. I’m not going to attempt to train you (or myself) to be optimistic in a few minutes, but we should at least talk about the possibility (and opportunity). People who have spent their lives fretting about all the bad things that might happen aren’t likely going to change. They should, but they may require professional help. Seek it. Get it. It will be worthwhile so you don’t sabotage yourself. Life is hard enough without you battling yourself. Business people have enough working against us. The market is tough. Finding, training and retaining qualified people can be tough. Sales is tough. Marketing, too. Getting the work done effectively and efficiently…that’s tough, too. Why should we add our own head trash to the mix? Why think the worst when the best may be just as easy to consider…and tons more fun! Google the phrase “inner critic” and that’ll provide a starting place. I could suggest some reading, but through the years I’ve learned that what may resonate with me, may not resonate with you. It’s among the many reasons you see so many diet books. One size won’t necessarily fit all because some people are attracted to one thing, others…something different. Then, there’s the way the message is delivered. If you listen to me with any regularly then you’re likely attracted to how I roll. But not everybody is (hard to believe, I know). Ditto on all the verbiage out there on “inner critic,” being optimistic and all the other head stuff that disrupts our efforts. Give it effort. That’s the main thing. Don’t take the challenge of overcoming your pessimism lightly. Be serious. Be determined to rid yourself of it, if it continually plagues you. See the future first, and make sure you see what can go right…and why. You’re smart. You’re not just hoping things will work out. Review your plan. Review the strategy you’ve mapped out. You came up with the plan for good reason. Logic was likely behind much of it. Don’t undervalue your emotions. Passion means something. No, it’s not everything, but it’s something significant. Feelings and emotions are fuel to our decisions, choices and actions. You experience it daily. You’re feeling pretty good about things. The morning is tripping right along, then your cell phone rings. It’s a member of your executive team informing you of a sudden problem. A company truck has been involved in a fatal wreck. A key customer has canceled a purchase order. A major client has decided to take their business elsewhere. A supplier can’t meet a critical deadline. A key manager died of a heart attack over the weekend. Sudden problems erupt – and disrupt our emotions. A good morning suddenly turns sullen, or worse…putting our mind into a completely different state than it was in just second ago. Now, we’re fighting to just think clearly. Every business leader has experienced it. And you’ll continue to experience it. If not at the level I just described…some other level. We all have to deal with the unexpected. How can you grab and maintain optimism when that’s how your day is going? You need time to process. Whether the event is sudden and unexpected or it’s obvious and expected — your mind is like a computer. It’s a processor. The speed with which you process isn’t static. Or uniform. Throw a bunch of graphics or video at your computer and the response time will be slower than when you’re just typing in a WORD document or viewing email. Some programs demand greater processing power. Open enough programs and challenge your computer to tackle multiple tasks at the same time and you’ll see it behave much like your brain. It bogs down because the processor is working hard to catch up. That’s what happens when we have to deal with challenges. Some are big, like our video programs. Others, not so much – like our email program. But it’s not just the size of the challenge, it’s also the quantity of them. Pile up a bunch of reasonably small challenges and our processing time is elongated. It’s got nothing to do with brain power. Every brain – every computer – needs sufficient time to process. I can’t give you a specific time frame required for your processing. There are far too many factors involved. Like, how you’re feeling physically, mentally, emotionally. What else is going on in your life, including at home? When are the challenges hitting you? Are they arriving during a time of day when you’re at your peak, or when you’re at a lull? How was the challenge announced to you? Who delivered the message and how? What’s the immediacy of the challenge? Who is around you to help you with it? What’s the scope and scale of the problem? How real is the problem – does it look or sound worse than it really is? All of these factors – and tons more – impact the time we’ll need to properly process the information. One trick is to do exactly what we do with our computer when it’s bogging down. We shut down all the non-essential programs. You have to do the same thing. Whatever projects were on your agenda – all the ones that can now be pushed to the back burner – need to be tabled for the time being. Everything that’s not a “right now” thing tapping into your processing power should be shut down. You’ll come back to it when you’ve got more processing power. This is a mistake many over-confident leaders make. They think they have more processing power than is available. Risk frying your hard drive and then you’re worthless. Or, recognize that your life is a limited resource that you must manage. Stress kills. We don’t want to think it can happen to us, but business leaders die all the time because they’ve over done it and neglected themselves. Avoid joining their ranks. When you focus solely on the most critical challenge at hand you’ll be able to better process it and decide wisely. You must consider worst-case scenarios, but don’t neglect the positive scenarios. Your job is to minimize risks and maximize opportunities. That requires you consider what might go wrong. Protect yourself and your company. Every good leader does it. Not every good leader develops the habit of thinking about how you might turn this to your advantage. Great leaders do. And since this is about growing great, that’s what we want to do. This isn’t some pie-in-the-sky hope. It’s a strategic approach to the problem. You’ll need a lot of self-discipline to engage in this if you’ve not been doing it. But if you’ll commit to the process of looking for how you might make this problem work to your benefit, then you’ll train yourself (and your executive team) to engage in that process every time a challenge comes up. No, you won’t always be able to pull it off, but sometimes you will. And the practice will make your business grow, along with your leadership team’s ability to manage troubles and opportunities. Believe you can get it done, then challenge yourself to find a way. We’ve already said that great leaders see the future first. So if we assume that you have the ability to see a positive outcome (and you do), then all that’s left is to find a way to accomplish it. See the positive outcome. It doesn’t have to be a challenge. Make it a goal. Do it consistently and constantly. Company leaders or owners have revenue goals. Do you really believe in your revenue goals? Or are they just wishful thinking? I’m all for “stretch goals,” but it’s ridiculous to have a revenue goal that nobody believes in. Operating a growing business isn’t about being a good fiction writer. It’s about having a grasp on what we can accomplish with the resources at our disposal. Too many companies have revenue goals that are never met and optimism is never established. There’s never anything to celebrate. Instead, there’s constant ongoing defeat. That’s now how you win. Or how you build a culture that knows how to win. No, instead, be realistic in the future you see happening. Really believe it. If you can’t, then review it and change it. Why set the revenue goal of $10 million when you and nobody on your team think it’s remotely possible? You could set it at $8.75 million and know it’s possible. Here’s why that’s important. Chasing unrealistic goals robs you of optimism. Your brain won’t embark on the quest to figure out ways to accomplish the unrealistic goal. Instead, you’ll just be telling yourself all the reasons why it’s impossible. And stupid. There’s nothing good about that. It won’t serve you to grow great. Instead, establish a goal that can be easily explained, not easily reached. How did you come up with that goal? What influenced it? As the owner or CEO you have to be able to explain and convince your team that this goal is achievable. That’s only going to happen if they know the thought behind it. I regularly hear executives talk about how their CEO or owner set some goal by pulling it out of a certain oravice. Don’t do that. Goals are tough enough to achieve when everybody is on board. They’re impossible when nobody (including you) thinks it’ll happen. Even if you’re a solopreneur like me, these 2 powerful forces of business-building are in play: overcoming loneliness and amping up confidence through optimism. You can push against these and try to go it alone. It’ll take you a lot longer and the road will be much tougher, assuming you make it. Besides, it’ll be miserable, even if you’re a loner. You won’t go further faster. It’s not possible. You need to align yourself with people who can serve you. I suggest looking at a peer advisory group because employees aren’t in a position to do for you what must be done. Nor are outside advisors who have you as a client. You need a group with no vested interest other than to help you grow great. The great benefit of such groups is that they can also help you with the second force of optimism. Don’t undervalue encouragement. I know you may not think you need it, but you’re wrong. You do. Look at your life – including all the skills you bring to run your company – like a fuel tank. Gas doesn’t magically appear in your car’s fuel tank. It won’t magically appear in yours either. You have to be intentional to put more fuel in, or you’ll run out. Fuel up. You’re going to need every drop you can get. Why wouldn’t you get all you can? Now, I’ve spent enough time I think to drive home the point. Find things you can believe in, then bet on yourself and your team. Be confident that you’ll win. Grow great!